Hello, Jeff here. If you're from this area you know that the Delaware valley is home to many interesting bird species and has some great birding locales from Hawk Mountain to Cape May to Cape Henlopen. And if you're interested in Scuba diving AND birds (like me), then you know that when you travel there are many wondrous creatures ABOVE the water as well as below. The Caribbean has so many amazing bird species and checking them out can add yet another dimension to your getaway. 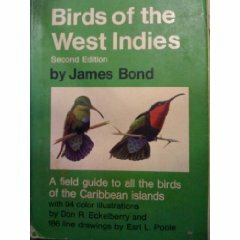 There are several great Caribbean bird books that you can pack away with your scuba gear, including Birds of the West Indies by James Bond, a copy of which I picked up at yard sale last year. (Did you know that Ian Fleming got the name of his famous character from the author of that book? James Bond, the ornithologist, worked at the Academy of Natural Sciences here in Philly, and became curator of birds there). 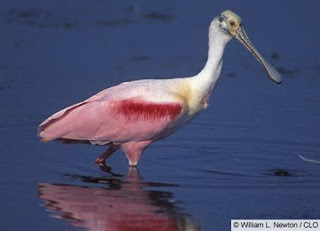 There are many online bird resources as well. My favorite bird website is allaboutbirds.org, from the Cornell Lab of Ornithology. Before your next trip, take a minute to research the native birds of your destination and you just might spot it while your sipping that Red Stripe on the dock.